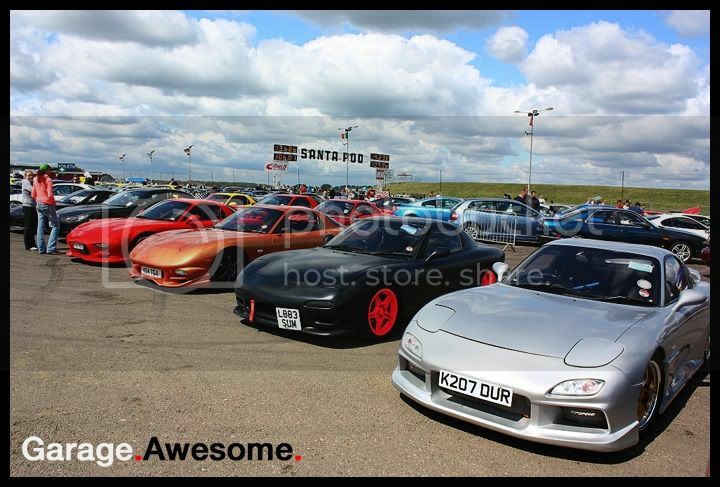 EVENT: Japshow 2011 – Santa Pod « Garage.Awesome. Today it was nice for me to spend the day on home turf, no I’ve not moved into Santa Pod as my permanent residence unfortunately, but I did manage to get to a show that has my name written all over and has been on my radar to make sure I’m available for all year, that being the first instalment of the 2011 Jap Show series. 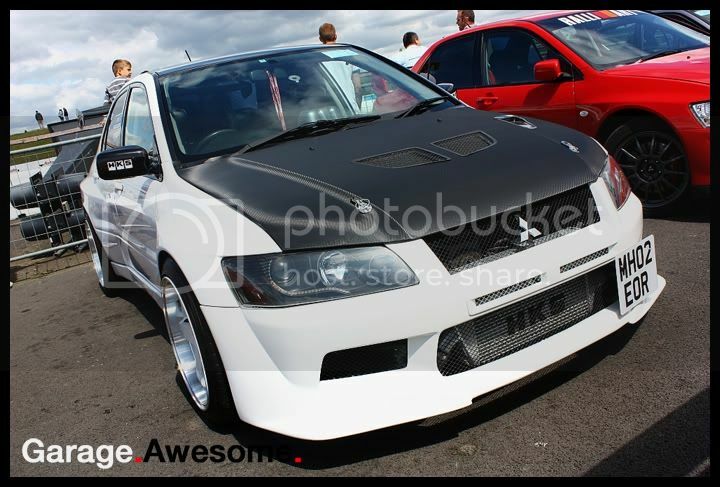 It doesn’t need much of an introduction, chances are you already know all about it and are likely to have been to one of the two Jap Show events that happen at Santa Pod each year and for those still blissfully unaware, just imagine every make and model of Japanese car possible and throw them all together on the hallowed Pod tarmac, throw in some live action running all day and you will come pretty close! Although I had had this show pencilled in for a while, a couple of factors still loomed over my attendance, one being my car, which turns out the trip today was its first of the year – but more to come on my ride later as I finally get round to doing a staff car feature, and secondly the weather forecasts were not looking good, and with Santa pod being a long way to go to get wet and watch nothing, I had decided if it was raining when my alarm went off… i wouldn’t bother! Fortunately I was greeted by great weather, and although not glorious sunshine all day, it was enough to make the show cars shine, the air to stay dry and me to catch the sun on my nose! 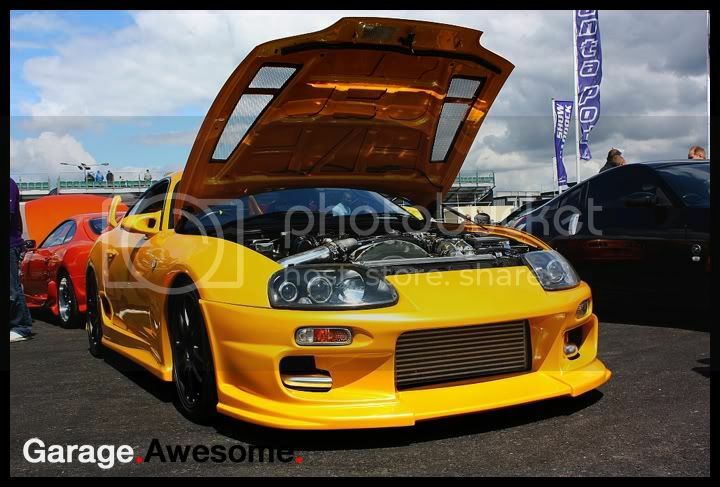 Due to my indecisive ways on both attendance and vehicle I hadn’t managed to plan far enough ahead to get my car on a stand or show area, fortunately I hooked up with Matt and his team at Performance Jap car (www.performancejapcar.co.uk) who kindly accommodated me and my car, they’re a top club with lots of info on the forums and have a growing presence at almost every Jap event going, so go check them out! With me all set up, I always like to have a good walk around without the camera first so that I’m not viewing everything “through a lens”. Show and Shine was my first port of call, with it filling rapidly the quality of cars was one of the highest at a Show and Shine this year. If you’re following us on Facebook (www.facebook.com/garageawesome) you will know that Ashley Busby took top honours with his green EK Civic, we know this car quite well already and will be bringing you a full feature on it in the coming weeks! Other winners included regular winner Nick, with his EK Coupe, an immaculate red MX5 and, although not massively modified, it was so clean the judges just couldn’t ignore it! At the top end of the site I found the drift taxis, it’s always worth a wander up to kill 10 minutes, but since being lucky enough to visit Drift Allstars and BDC events as media, it’s kinda taken the small track demo drifting’s shine away for me, that didn’t stop crowds handing over a crisp tenner to go out with the drivers for some hot laps and kill some rubber! The main source of excitement was obviously the Drag Strip, with RWYB running all day to Jap only cars it must have been one of the quickest RWYB’s to date, with it seeming that almost every other car would be in the 11-14 second bracket or lower! We saw it all out on track too, from automatic Soarers, the new GTRs, a rapid Nissan Micra, tonnes of Scoobys and Evos and of course no pod event would be anywhere near complete without a couple of breathtaking and ear-smashing passes from the Jet Funny car; Fireforce! The JAP drag series was also in attendance, providing pro drag racing action in the gaps of RWYB, with a whole variety of classes being contested meaning that we got to see more than a few Civics running down in the 10s, Skylines and Subarus in the 9s and Toyota Supras with turbos the size of most people’s rims heading towards the 7 second pass milestone! The final of the Pro Class competition was the most controversial of the day, with Leon Green’s Supra facing the imposing 350Z of John Bradshaw. It appeared that Bradshaw cut the light and therefore gifted the win to Green, but whilst the hoards were queuing to leave Santa Pod, our hanging about paid off as we witnessed the team bring the car back to the line and watched them and the experienced Pod race marshals discuss how and why the car cut a red light, if indeed it did! It maybe the case that the car is too low and set a beam off or on by accident as it launched, interesting stuff! Clubs are the key factor with any show and Jap Show is no exception, we saw impressive numbers show up for stands including Skyline Owners, Beds and Bucks Scoobys, Miss Banzai, MLR, SIDC, FDUK, Honda Culture, GTROC, and UK Legacys to name but a few! It’s very, very difficult to pick out cars that really grabbed my attention, but off the top of my head I found the wide-arched white and carbon Evo on the MLR stand was outstanding, possibly way too outstanding to be left at the back of the display! I’m always pleased to see an old Datsun, and fell in love with the 270Zs that were on display and I know everyone is a sucker for a GTR and there were plenty of them to go at! The MR2 Owners club had a stunning black example on their stand and Honda Culture had a whole host of outstanding rides including a sweet S2k and smooth bay’d Del Sol but by far the most impressive was the decked and stanced Honda Accord. Finally, we found a really tidy 4 door Micra, not the immediate car you would think we’d pick, but it had a great set of mods against the bright red paintwork! Pod runs another 2 Jap based events throughout this year so if Jap is your thing… and it should be, then head over to their website www.Santapod.com and look up the Jap Show Finale in October and Rotorstock a little before to get all the info on the next slice of the action coming your way!